It’s 2013 and Oscar is 85 years old! In a time when so many Christians consider a piece of dribble such as "The Shack" a wonderful piece of literature it did my heart and mind good to be there. It is the best of times, it is the worst of times, and always, entertaining. Another year, another flood of exceptional faith influenced music from artists that are a bit off the beaten path - which nicely fits the Tollbooth's distinctive style...with a free download! 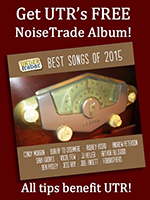 Best Music of 2015 - First Half! Well, 2015 is half-way over and we've been listening to some music that we think you should also. Aaron Shust, Jason Gray, and Downhere exceed expectations in New Jersey, but Marc Martel, who won the right to front Queen's 40th anniverary tribute tour, brought down the house.